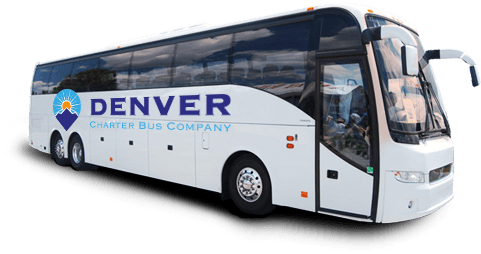 No matter what brings you to the area, let Denver Charter Bus Company take care of all your transportation needs in and around Aurora. From weddings to field trips, corporate events to sports outings, and anything in between, our team has serviced them all. Our vast network of motorcoaches and professional drivers grants you the flexibility to explore the area in total comfort and on your own terms. We understand that when it comes to fun in Aurora, the more, the merrier. When it comes to getting everyone from Point A to Point B, however, coordinating travel for large groups can be tricky. Especially for out-of-towners, navigating public transportation in large numbers can be a hassle. Your group can bypass these struggles by booking a private transportation shuttle through Denver Charter Bus Company! We offer a variety of motorcoach models for groups of all sizes, so everyone can arrive at each destination all in one vehicle and all at once. Need spacious accommodations for your next long-distance trip? We recommend reserving a 56-passenger charter bus to service all your large-scale travel needs. Looking for something smaller for a quick trip across town? Don’t let the compact size of our minibus options fool you. They can comfortably fit up 25 passengers with plenty of room to store personal belongings and luggage en route. With everyone travelling together and a professional driver behind the wheel, your passengers are guaranteed a comfortable and efficient ride to any Aurora destination on your agenda. Whether you’re planning a small ceremony at the Franciscan Event Center’s gorgeous outdoor venue or a grand gala at the Heritage Eagle Bend Golf Club, Denver Charter Bus Company can streamline your transportation to any wedding event. We’ll assist you in reserving a minibus shuttle to transport in-laws from their hotels to the rehearsal dinner, whisking guests from ceremony to reception with a caravan of charter buses, or any combination of services. With the travel logistics taken care of beforehand, everyone can sit back, relax, and focus on you on your special day. Coordinating a company outing? “Wow” attendees, employees, and clients with a professional shuttle service that runs like clockwork on a schedule you create. Set your passengers up for success by providing productivity boosters like on-board WiFi and power outlets. We can even pair your company with a sleek, all-white or all-black fleet that is sure to impress. With a rich history and no shortage of relics, monuments, and museums, this area is the perfect destination for your next school field trip. Create your own bus tour of Aurora’s historical landmarks, from the DeLaney Farm Historic District to the Trolley Trailer No. 610 in the Aurora History Museum, and everywhere in between. Rest assured everyone rides safely by booking a private transportation service through Denver Charter Bus Company. We only utilize state-of-the-art motorcoaches loaded with the latest safety features and comforts a traditional school bus can’t provide. Upgrade your ride with televisions with DVD players, a PA system, and on-board restrooms to ensure your students arrive refreshed and ready to learn. Simplify your Aurora travels with Denver Charter Bus Company. We provide quality and timely service throughout the metropolitan area, including suburbs such as Arvada, Boulder, Englewood, and Lakewood. Wherever you begin or end your journey, we’ll find the perfect ride for your group at a reasonable and predictable price. Call 303-495-2341 and our 24/7 team of transportation experts today for a free, no-obligation quote!